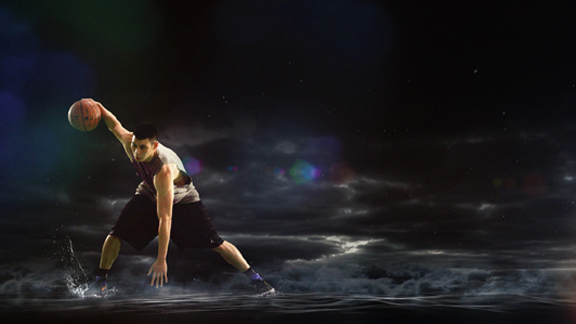 A new documentary, "Linsanity," takes a closer look at Jeremy Lin's remarkable rise to the NBA.Linsanity. Do you still think about it? And if so, why? Is it a curiosity, an impish footnote in NBA history or a landmark event that we’ll be telling our offspring about for years to come? Leong has been interviewing Lin going back to his days at Palo Alto High School, well before the world took notice. He also has collected a vast treasure trove of Lin family home movies and yet-unseen high school and college camcordered game tapes to fully flesh out Lin's improbable path to the NBA. From the moment that a mop-haired, grade school Jeremy pounds out the same tune at a piano recital three years running, you’re hooked. It’s easy to forget, in the midst of the never-ending punning and the crass denigrations of Lin’s Asian heritage, that he, personally, is such a captivating, charming person. So genuine and unassuming. It’s clear that the last thing in the world he ever wanted was the trappings of fame, fortune and celebrity, and that if he had his druthers, he’d play without anyone watching, existing solely in a realm where perfecting his chosen craft counts for more than the result of his labors. Once the film rolls clips from the Feb. 4, 2012 game versus the Nets, the incredible, boisterous, implausible energy that drove Linsanity comes barreling back full force. Even if you can recall each game during the wondrous 8-1 stretch, the instant those oft-replayed highlights begin to roll, you’re right back in the thick of it, wholly swept up in the feverish giddiness of it all. Look, there’s the couch belonging to teammate Landry Fields that a semi-homeless Lin slept on during the beginning of his stint in New York! Ohmigosh, Lin was hours away from being released in favor of the immortal Mike James before his 25-point eruption against the then-New Jersey Nets staved off the executioner’s blade. There’s the blue waggling tongue after a trey, the buzzer-beater on Valentine’s Day to topple the Raptors, Kobe’s feigned lack of recognition, the whirling dervish spin move to flatfoot Derek Fisher during a 38-point outing in a victory over the Lakers, the comeback versus the defending champion Mavericks, and on and on. Pure, unadulterated bliss. But if you’re not a Knicks fan with a particularly nostalgic bent, the question remains: What is it that still resonates so deeply? Save for brief fits and spurts this past season, for all intents and purposes, Linsanity is a thing of the past. Why all the fuss over an average-to-middling point guard? Raymond Felton proved to be a capable replacement at a fraction of the cost. The Knicks had their best season since their dizzying run to the Finals in 1999. An objective assessment of the current state of Knick Knation would have to conclude that all worked out for the best. "Linsanity" opens in October in select cities. Here’s why I think it does: Beyond the improbable set of circumstances that surrounded Lin’s rise to superstardom, the overriding theme that pervades the film is that Jeremy Lin’s magical ride would not have occurred if not for his devout faith in God. The film’s final credit line is, “And a very special thanks to God,” and its wordmark includes a lowercase ‘t,’ which looks remarkably like a crucifix. There are people for whom phrases like these will ring absolutely true. There are others who won’t have a clue what he’s talking about. In the name of full disclosure, I am definitely in the latter camp. I have nothing but respect for Lin’s faith. In fact, I envy it. But there is one realm in which our respective spiritual worldviews cross paths. The reaction that many people had to Lin’s miraculous ascent was so intense, so filled with ecstatic joy, because fandom works in many ways similar to that of religious fealty. There is a set of traditions, values, heroes, villains and fables that are passed down by parent to child from generation to generation. The war stories of terrible, gut-wrenching losses are told and retold with a measure of battle-scarred pride. We spend hours scouring articles, consuming unending streams of information, wagering of our emotional well-being on the outcome of a three-hour contest, and when faced with the horrifying fact that our team will fail (again), we do the same thing people have done since time immemorial: We pray, hoping beyond hope that our supplication might in some tiny way influence the actions on the court. Lin was in a similar state of existential and spiritual despair. He knew he had the talent to succeed. He felt as if opportunities had been denied to him for reasons utterly beyond his control, but what kept him going even in his darkest moments ready to chuck the dreams he’d harbored since childhood into the bin, was an unquenchable belief that it was all part of a plan. God’s plan. Amazingly, said plan did reveal itself, and in a miraculous fashion. At the defining moment of his life he seized the day. His faith was not only rewarded, it was vindicated in spectacular, glorious fashion. And for Knicks fans, who were absolutely at their wits’ end, after a decade marked by not only futility, but humiliation and mockery, ready to give up on yet another seemingly doomed squad, it’s entirely logical to see Lin as a savior-like figure who descended from the heavens (or at least the rafters of MSG). Within the context of a valley of futility so deep and wide, it’s not surprising that Lin would inspire such a profound, overwhelmingly joyous reaction; that he could reaffirm the notion that there are such things as magic and beauty and maybe even the occasional otherworldly intervention in this world. Of course, the film doesn’t detail what transpired after Linsanity ended. The injuries that cut his season short are omitted entirely as is any unpacking of the circumstances regarding the contract he signed with Houston. It’s understandable, from the filmmaker’s perspective, partly because it takes a long time to complete and edit a feature and partly because it’s a myth, of a sort. Ending the film with a more human, mundane coda is not how one recounts the heroic exploits of legends. Maybe it’s absolutely foolhardy to think of Lin -- or any player or team -- in such terms. Maybe that degree of fanaticism is just plain bad for the soul. As a Knicks fan, I was absolutely devastated when Lin left New York. But leaving the theater, I wasn’t in the throes of some shirt-rending despair. I was smiling, laughing at myself at the folly of it all. You can love and experience loss and go back. There will be more stories, new loves, and new heroes. We’ll forget and remember and forget all over again. Linsanity is meaningless and totally meaningful. Robert Silverman is a TrueHoop Network blogger and co-author of "We'll Always Have Linsanity."